1. Tell me how you got started writing, in particular writing for teens. What is it that draws you to tell the story of teens, in particular those growing up in harsh urban environments? I started writing for teens while working in a residential center for girls, doing counseling and listening to their stories. What they told me was shocking on many levels. They’d been through so much and seen things no 14 or 15 year old should ever see. What really got me was how razor sharp their perceptions and observations were. I didn’t know it at the time, but the job had desensitized me. Or deadened me, to be more cynical – and precise. It was necessary, I think, like a protective coating to allow me to sit perfectly still in my vinyl swiveling office chair and listen to the same tragedies repeated day in and day out. And yet certain details of the girls’ stories were able to cut through the protective coating, leaving me blinking and heartbroken, wondering what the hell I was doing in a place that was supposed to protect and teach and heal, but couldn’t actually do any of those things. It didn’t even come close. At some point, I started writing. 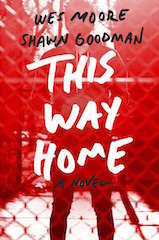 It wasn’t part of a plan to write a novel, nor was it a focused effort to write specifically for teens; it was more of a way to make sense of what I was experiencing at work. I wrote late at night, when my wife and daughters were asleep and I could tune in to the frequency of Shavonne, this angry, intelligent girl who was a lot like the girls at work, only she existed in my head. At some point, I figured out that I was writing a YA book, and that it was really intended for the girls at work. They were my audience. 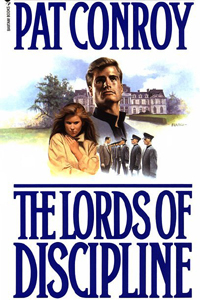 I was a non-reader until age sixteen, when I got hold of my first great book, THE LORDS OF DISCIPLINE, by Pat Conroy. That’s the book that changed my life. I could try and explain exactly why it appealed to me, but I suspect that would be missing the point. It’s better to say that, for whatever reasons, that story grabbed hold of me in the opening pages and didn’t let go until the end. After I’d finished it, I was changed. At the risk of getting evangelical, I think that’s what great books do: they change us. But only a few of those great books will be accessible to nonreaders. That’s not a value statement; I don’t think one is inherently better than the other. But the accessible book does have certain identifiable characteristics. It’s likely to be slimmer overall, with short chapters heavy with action, dialogue, and/or emotionally laden scenes. The people in the book will be instantly recognizable, and the narrative will play out in your head like a movie. I once checked on the Lexile or reading difficulty level of one of my books and it was surprisingly low. Maybe 5thor 6th grade. But I’ve heard from many kids and adults who have said it’s the first book they’ve read through to the end. I like hearing that. 3. You recently collaborated on a book with Wes Moore, he of The Other Wes Moore. I also just finished a collaborative book so tell us about that experience. I heard Wes speak at Ithaca High School, where I’ve been working for the past few years as a psychologist. There were several hundred students and teachers in the auditorium, and Wes held everyone spellbound while he told the story of his life, and how he came to write THE OTHER WES MOORE. A few weeks later, my publisher asked if I’d consider working on a YA project with him; it was a strange coincidence, and I found myself saying yes even before I heard the details. Writing THIS WAY HOME with Wes was a very cool experience. He’s an amazing guy, and the collaborative process was one of talking about our favorite books and movies, spinning ideas off each other in a series of conversations and emails that spanned about a year and, ultimately, resulted in the story of Elijah, and his two buddies, Dylan, and Michael. 4. Okay, the big question: so I reluctantly read a blog review of Outburst in my The Alternative series. 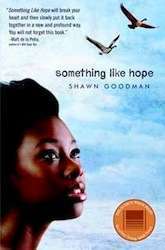 This book tells the story of an African American teenage girl coming out of detention and going into a foster home. The review began with “Jones, who is white …” and I wished I would have stopped reading there. Have you faced this being a white male writing stories for and about kids of color as in? Most everybody seems to be onboard with we need diverse books, but not if those books are not written by people of color. Your thoughts? I might roam a bit on this one. If I can reframe the question to one of risks, specifically the risks of writing across race and gender, I’d say the first risk is failure. There are so many ways for a writer crossing race and gender to get it wrong. Unbelievable characters. Unnatural language. Forced or shallow emotions. Or just showing on the page that he doesn’t know what the hell he’s talking about! But perhaps the biggest risk is of stepping on others’ cultural toes. I think the question that best speaks to this is, “what gives you the right to write this book?” It’s a good question for any writer of any book, I think, a fair question, and perhaps the best answer in my case is, because no one else was going to write SOMETHING LIKE HOPE. The girls I got to know in lockup read everything they could get their hands on. And yet, at that time, there were so few novels with characters and stories that reflected their experiences. Which is invalidating, if you think about it, because every kid should be able to find books that speak to him/her. Of course, the alternative is to write only within the boundaries of our own racial, cultural, and/or gender identities. Imagine if we could only tell stories about people who look and dress and talk exactly like us? 5. What are you working out now? My first adult thriller, and a YA road trip adventure.